Centrus Energy is a trusted supplier of nuclear fuel and services for the nuclear power industry. Centrus plays a critical role in areas such as fueling commercial nuclear reactors, supporting U.S. national security, and providing advanced manufacturing and engineering capabilities. Find the latest news, information and company perspectives. Patricia J. Jamieson retired from Keycorp in March 2013, where she held various executive director positions, reporting directly to the chief financial officer since 1998. 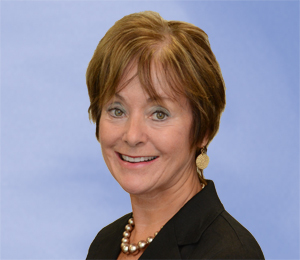 From 2009 to March 2013, Ms. Jamieson served as the executive director – planning & performance management for Keycorp. From 1998 to 2009, she was the chief financial officer for Key Corporate Bank, one of the two main divisions of Keycorp. From 1996 to October 1998, she was the chief financial officer of McDonald & Company Investments Inc., a publicly traded brokerage, asset management and investment banking company, which was purchased by Keycorp in October 1998. Copyright © 2019, Centrus Energy Corp.